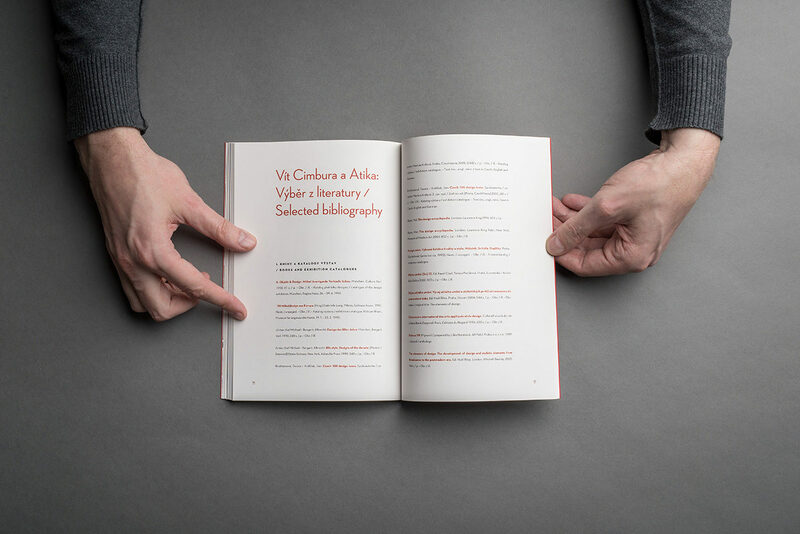 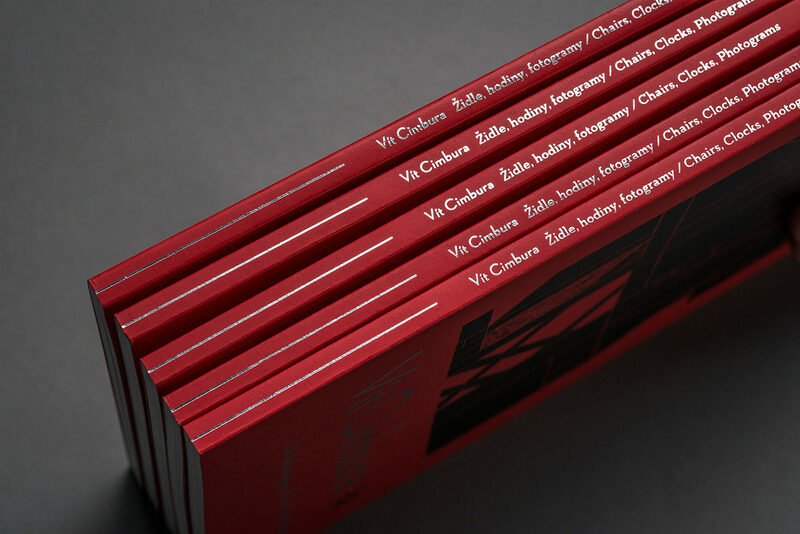 A graphic design of the exhibition catalogue Vít Cimbura: Židle, hodiny, fotogramy (Chairs, clocks, photograms). 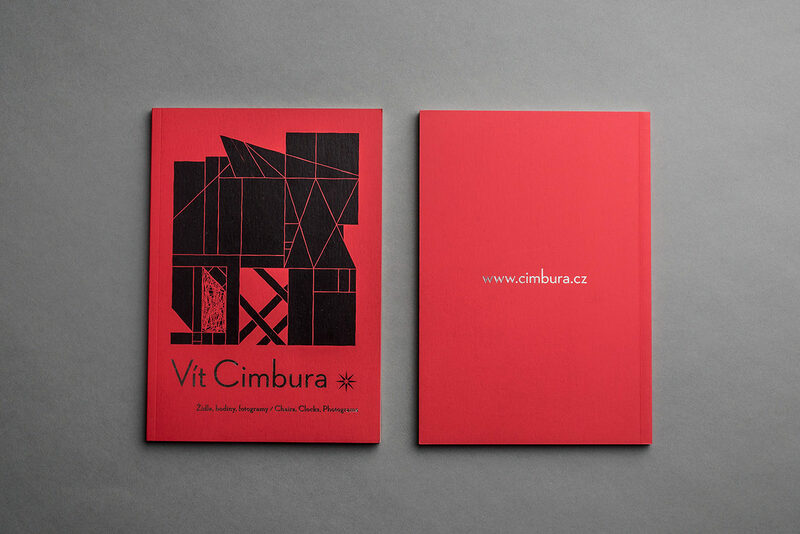 The catalog was published on the occasion of the Czech architect Vít Cimbura´s exhibition in the Museum of Arts and Design in Benešov. 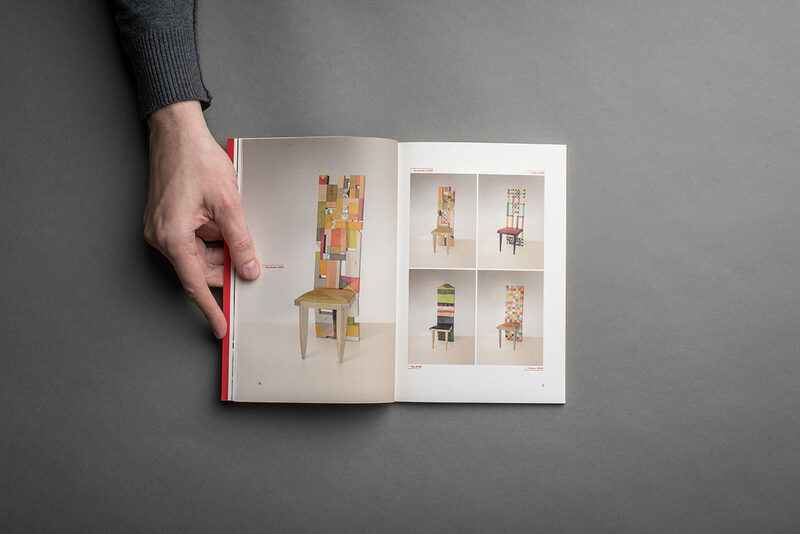 There’s a line going through the publication which works as a link among the three sections of Cimbura’s artwork. 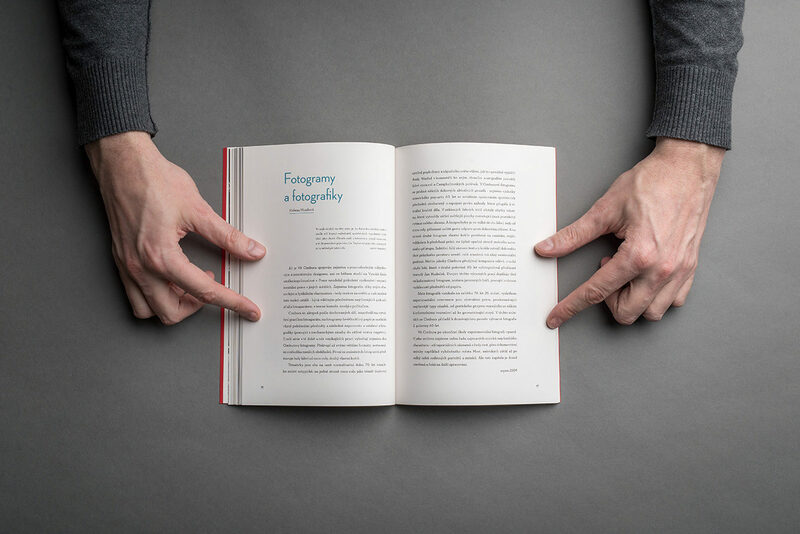 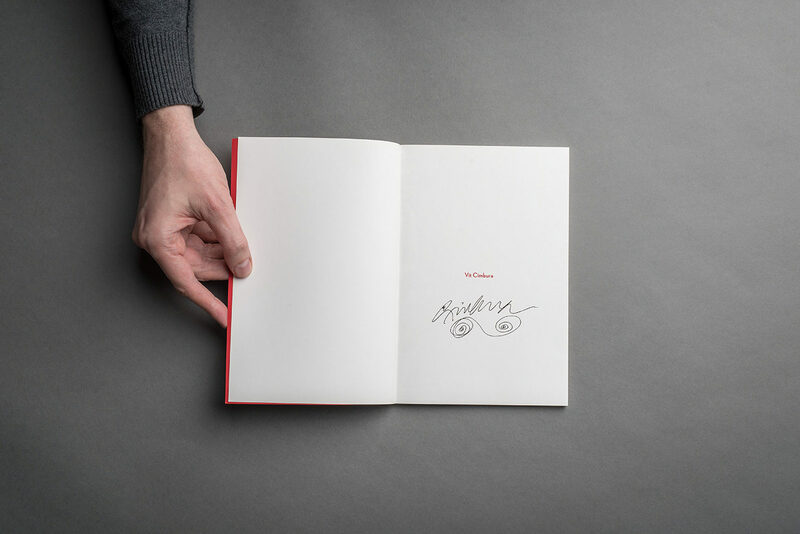 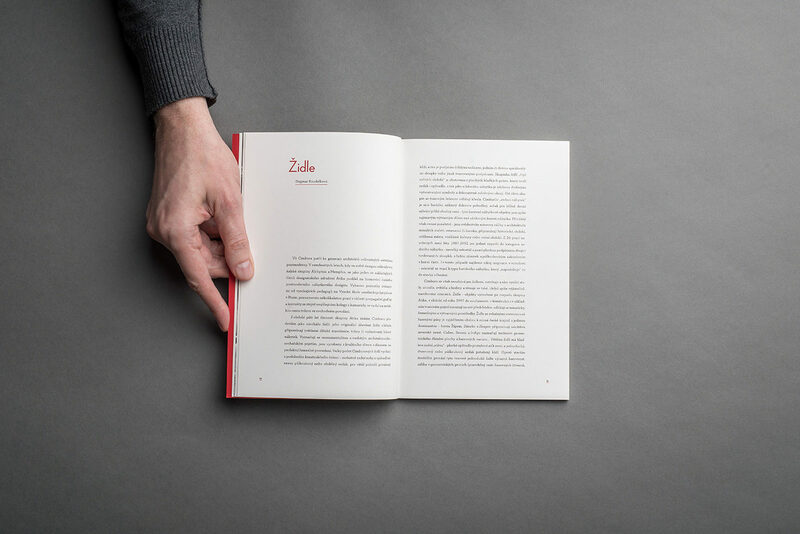 The cover is boosted with a silver embossing and a quality 300 gsm paper Plike. 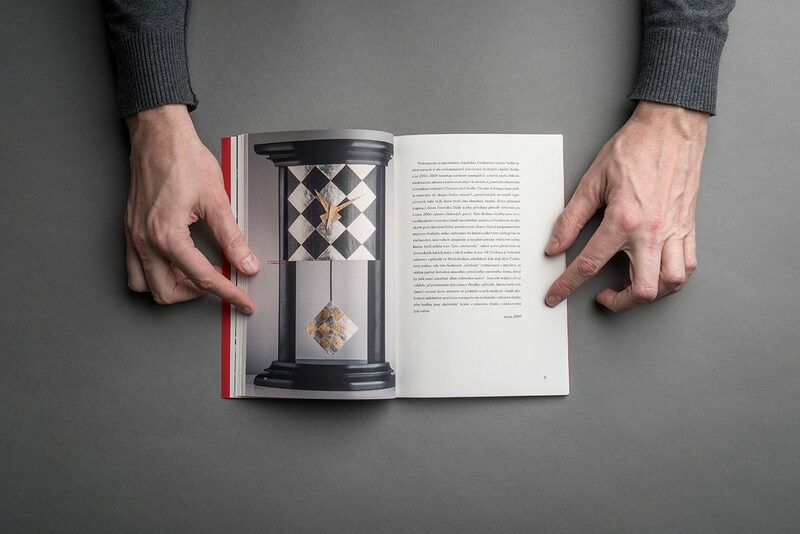 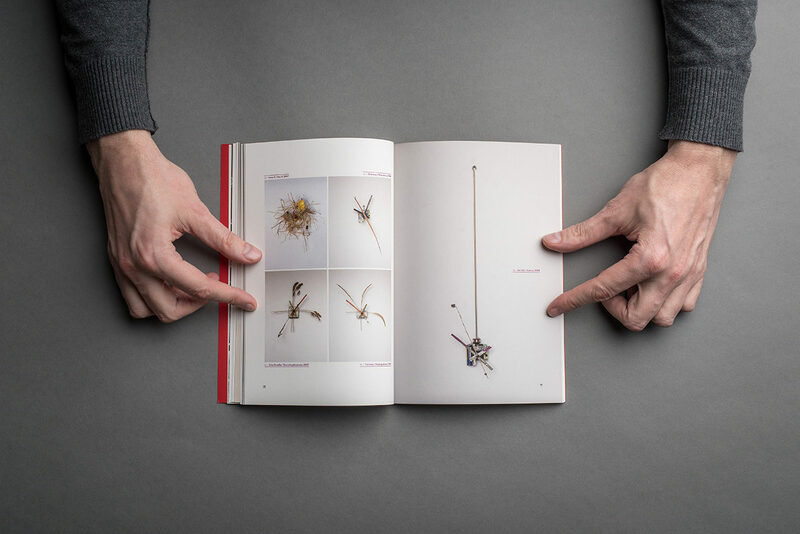 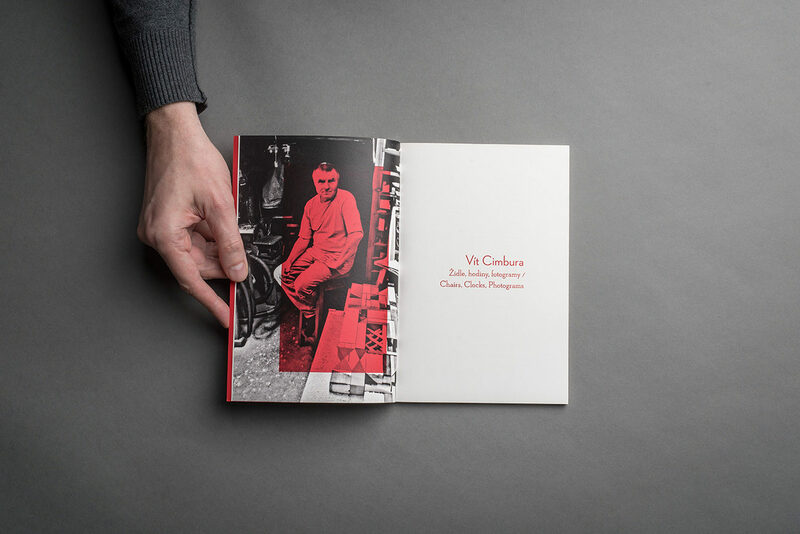 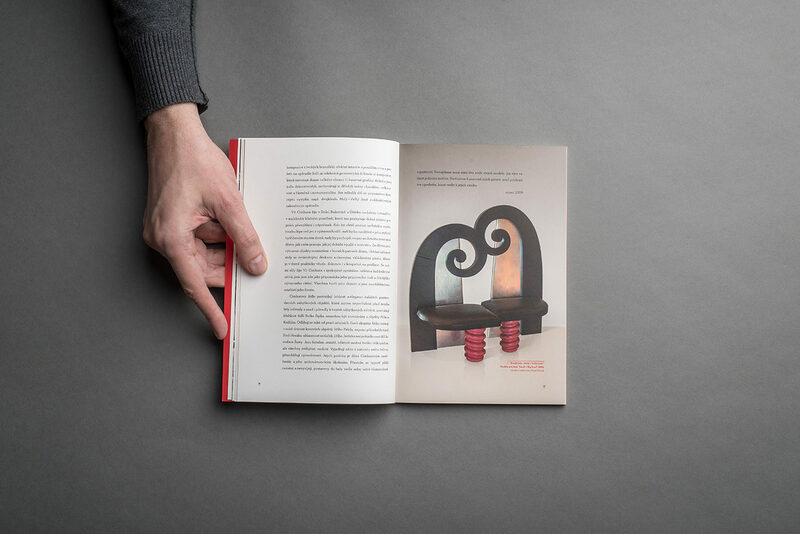 The quality of the cover symbolizes the quality of Vít Cimbura’s artwork, a member of a famous designer group Atika (V. Cimbura, B. Horák, J. Javůrek, J. Pelcl, J. Šusta and V. Vagaday). 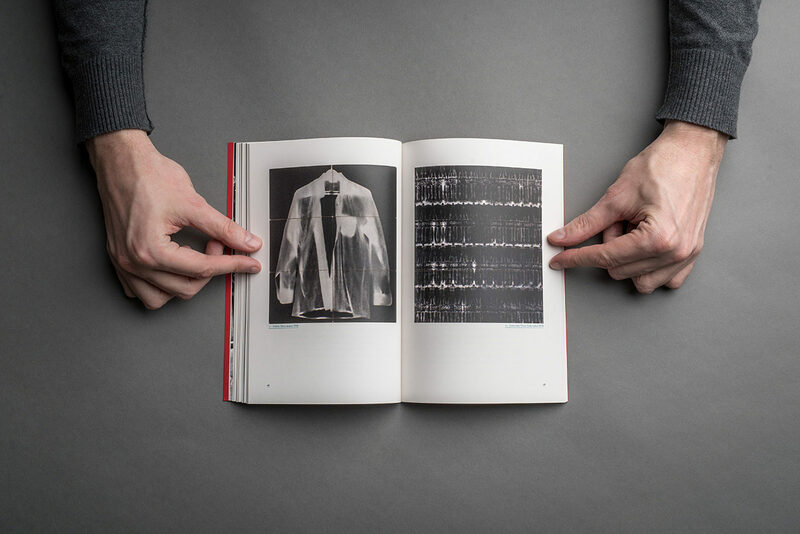 Texts by: D. Koudelková, A. Šimková and H. Musilová. 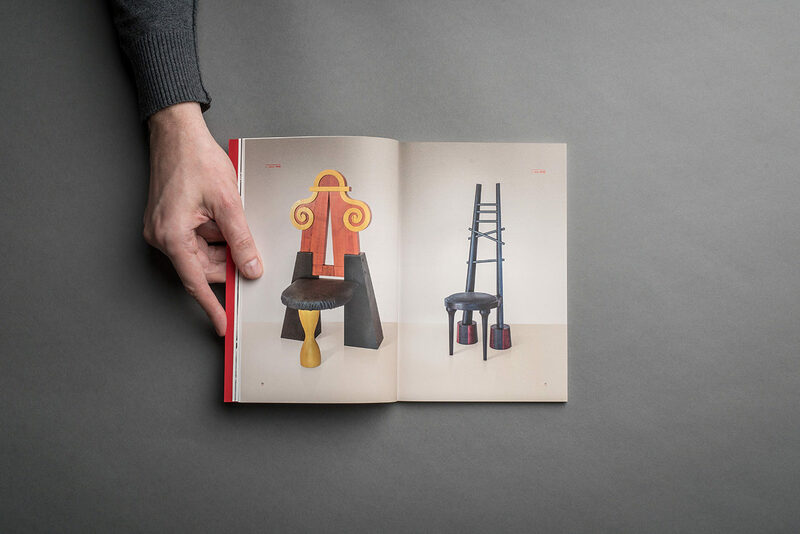 The catalog has 90 pages.